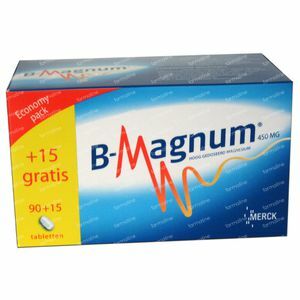 B-magnum Promopack 105 tablets order online. Magnesium is a mineral that is vital for our health. Magnesium plays an essential role in more than 300 enymatic reaction in our body, in particular in various reactions in which energy-rich phosohate compounds are involved. In addition, magnesium is essential for protein synthesis, for the transmission of nerve impulses, for a normal heart function and to our bone development. 1 tablet per day is sufficient, even in cases of increased magnesium needs. Swallow the tablet with water. 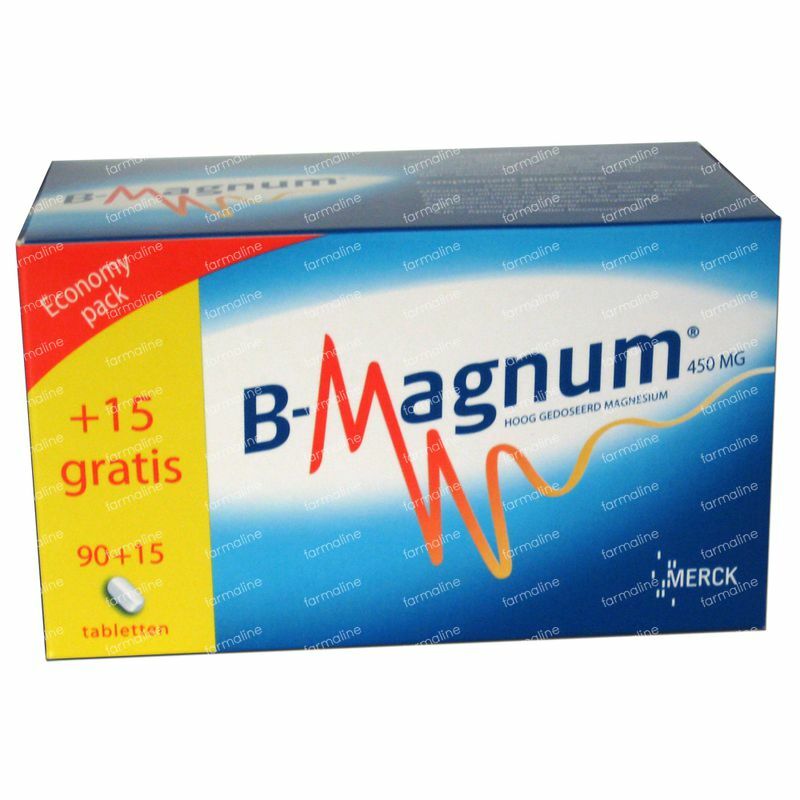 People with severe renal insufficiency, should better first consult a doctor before taking B-Magnum.